Our brand has evolved. Find out about our new colours, new language and the tools available for you to use. We want everyone who interacts with our brand to realize the power that skills have to change lives. 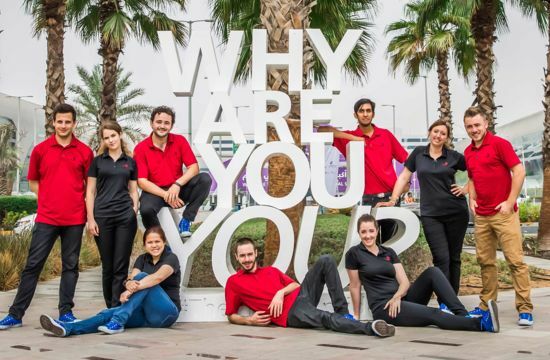 With our WorldSkills Members, WorldSkills Regions, and Competition Organizers, we create impact through the use of a consistent and unified WorldSkills brand. The WorldSkills brand unites our WorldSkills Members, WorldSkills Regions, and Competition Organizers. 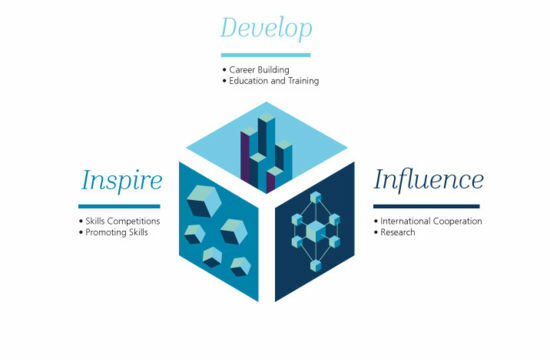 WorldSkills organizes its work around six focus areas. Externally we describe our ambitions through three building blocks, which each capture two focus areas. Skills change the lives of young people around the globe. They build self-esteem and release potential. Skills create opportunities and connect communities. They are the foundation of economic progress and the building blocks of our world. Young people are the beneficiaries of our work, the heroes of our stories of skills excellence, and our default audience. We are apolitical, but we do not shy away from discussing the problems of the world. 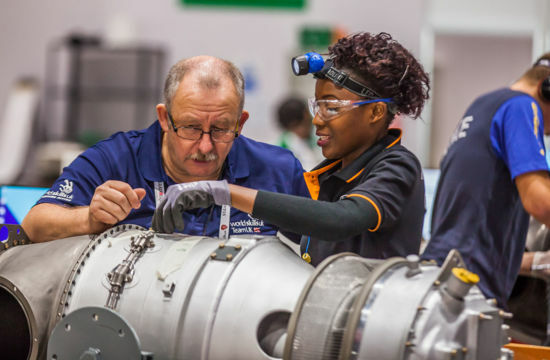 WorldSkills and our Members believe that skills are uniquely effective in tackling economic and social inequities. Frutiger is our primary font. Inria Serif is also used to add variation and emphasis to text within designs. When Frutiger is not available we use Arial. We will help you develop a logo and colour palette to suit your needs and fit our guidelines. You will need a graphic designer to create the assets. We will provide a pattern library in an easy-to-use system called Concrete5. You will need a web developer or agency to implement the templates with your colour palette and build your website using our patterns. What else can we provide to help Member Countries and Regions? Let us know what else you need and we will do our best to help. Creating the global brand together. Our visual identity consists of key characteristics that work together to reflect our bold and youthful approach. Our pattern library, style guide, and templates.